o- no plur. (lu/n) strength, energy; good health. recover one’s health. Ndimu olungubanguba. I am in good health. Lumya (-lumizza) v. Tr. Appl. 2 caus. Cause to bite/hurt, etc. ; hurt with/by;injure; worry; disappoint. Ekyo kinumya nnyo omwoyo. This worries me a great deal. Ebigezo ebyalumya buli omu ogw’engulu, very difficult examinations, lit. Which made everyone bite the upper (lip, omumwa implied). Kuluggusa (-kuluggusizza) v. Tr. Caus. Cause to flow away, wash away. Okukuluggusibwa kw’ettaka, erosion of the soil. Lala (-laze) v.i.be in anguish, suffer Omwoyo gundaze. I am in anguish. Laza (-lazizza) v,i, cause to be in anguish. Kiraza mwoyo ng’ebbwa eridda mu nkovu. (prov.) It causes anguish to the heart, like a sore recurring in a scar. lalusa (-lalusizza) v,tr, caus.madden, craze. Lubanga pr,n, the name of Lubaale associated with the Gray Monkey Clan and the Oribi Antelope Clan. Guluba (-gulubye) v.i. gallop, trot; skip cavort about, frolic cf. Kannagguluba. Gulugulu also gguluggulu ideo. Commonly used with nywera and its derivatives. Very firmly, very tightly. Eccupa nnywevu be gulugulu. The bottle is tightly sealed. Kino kyange gulugulu. This is my very own. Gulirira (-guliridde) v.tr. appl. 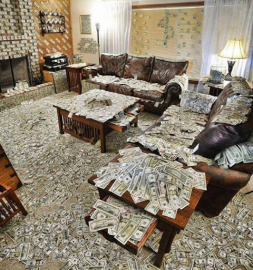 2 keep buying, buy constantly; hire; bribe. Gulaana (-gulaanye) v.i. recip. Buy from one another, barter, bargain. Guba (-gubye) v.i be or become dirty/filthy/stained; be stunted; grow poorly; be badly cooked; become hardened/inured; be re-sistant to cleaning; become worn (e.g., of a path). Gubira (-gubidde) v.i. & tr. Appl. Become dirty in, etc. ; be hardened/inured to. Nze emiggo nnagigubira dda. I have long since become accustomed to/ inured to beatings. Obudde bungubiridde. I am in trouble/difficulties/a trying situation. Gubaasiira (-gubaasidde) v.i be dirty/filthy; look dirtyi. Cf.-gubaasiivu; guba. Kikudumu, e- also ekikudumo ki/bi dregs in unstrained beer. Kikufiri, e- (ki/bi) rare small tuft of hair. Kikujjuko, e- (ki/bi) marvel, wonder, wonderful thing. forces, Gen Edward Katumba Wamala, sent a card late last month inviting me to the 34th anniversary of the founding of the Uganda People’s Defence Forces. It was a patriotic act to invite an opposition MP to a military function. In my last years in the media, I, together with Andrew Mwenda and Frank Nyakairu, had been barred from attending any military function or visit a military installation. That is how I did not cover the passing out, (or was it a graduation?) of generals Salim Saleh, Elly Tumwine, David Tinyefuza, and Noble Mayombo (RIP) from the UPDF Senior Command and Staff College, Kimaka in 2005. The UPDF spokesman then, Col Shaban Bantariza, turned down my request, saying he had been instructed not to allow me even near the function. Apart from Mayombo, who died shortly after the course, don’t ask me whether the others have added any value to the institution of the UPDF. Therefore, by Katumba Wamala inviting me, I think the expressed mission of turning UPDF into a national army has not been after all lost. I guess every MP was issued with this invitation. But I think there was an extra motivation to invite me because I sit on the parliamentary committee on defence and internal affairs that supervises UPDF. Unfortunately for Katumba Wamala, celebrating the 34th anniversary of founding the UPDF, the so-called Tarehe Sita, negates the very purpose for which this invitation was issued to me and all other opposition MPs. I have extensively written about this subject in an earlier article. February 6, 1981, is the day Museveni, together with Tumwine, Julius Chihandae, Fred Rwigyema and others attacked Kabamba barracks to loot guns so they could begin a war to remove Milton Obote from power. This UPDF that Katumba Wamala heads is a creation of the 1995 Constitution. It is, therefore, 20 years old and not 34. What is 34 years old is the guerilla outfit called National Resistance Army (NRA) that is no longer in existence. It is through questioning the marking of days like this that one will understand the mindset of our revolutionary leader. He has denied us a chance to transit from the Luweero jungle mentality to a new order. I raised this matter in parliament last week and Speaker Rebecca Alitwala Kadaga summarily ruled me out of order. On that same day, parliament, for the first time I think in its history, refused to grant an MP a chance to introduce a private member’s bill. The procedure is, you get parliament’s staff to help you print a bill, then you officially notify parliament by way of asking for what they call “leave” to prepare the bill. That is what Dr Michael Lulume Bayiga did when he asked parliament to allow him prepare a bill called Presidential Transition. The NRM, led by new kid on the block Peter Ogwang, shouted a big no. Kadaga attempted to explain that this was more or less a ceremony. She noted that real work would begin when Bayiga tabled the bill to no avail. According to Lumumba, thinking or imagining another president other than Museveni is now criminal in the NRM. We are in for interesting times. Don’t blame Katumba Wamala, a former UNLA soldier, when he invites people to celebrate the formation of a guerilla outfit. The most important issue for the citizens is to continue noting incidents of looting and abuses going on under this regime. I hope you have not forgotten that we officially spend Shs 8.5 billion every month on the war in South Sudan. This amount doesn’t include the wear and tear of our military equipment and the loss of soldiers deployed to keep a weak government in power. 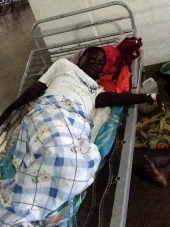 Mind you, we don’t have Shs 4 billion to repair scan and ultrasound machines in public hospitals! Our army went to South Sudan in December 2013. It is now about 14 months since that deployment. This, by the way, means we have so far spent Shs 119 billion executing a war on behalf of a weak leader. That is why our expenditure on the military has hit a Shs 1.1 trillion mark. Out of this, Shs 342 billion is classified expenditure. The ordinary soldier continues to languish in ramshackle structures as the bosses ride in the latest state-of-the-art Land Cruisers. The ordinary soldier continues to live in the Luweero jungle as the bosses enjoy the ‘heaven’. Harnessing the collective strength of everybody suffering under this regime is what has eluded us these three decades. This is not the opposition’s sole responsibility; church leaders, Muslim leaders and civil society must all act. That is what should occupy us; but unfortunately, the media is feeding us on the Kyankwanzi menu. Uganda is moving in a reverse gear but the driver thinks he is doing great. 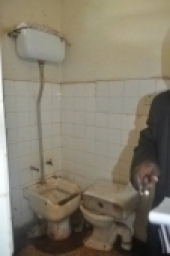 One of the Government Aided Schools in Lwengo District. Iam informed the school is within 2km radius to the MP's residence! Even with the constituency development fund one could change that image. At least 30 research scientists from across the globe are currently in Kampala for a three-day workshop to discuss the control of pests and diseases of bananas using biologically based methods. The conference organized by the International Institute of Tropical Agriculture (IITA) in collaboration with National Agricultural Research Organization (NARO), Real IPM and International Center of Insect Physiology and Ecology (Icipe) with support from the European Union is focusing on how to reduce on farm banana loss. Bananas are a major staple food and a source of income for millions of people in East Africa, with 120 varieties of East African highland bananas (matooke) being grown. The workshop is organized under the microbial uptakes for sustainable management of major banana pests and diseases (MUSA) project funded by the European Union Horizon 2020 with an objective whose principal aim is to achieve sustainable intensification of bananas and ensete crops (in Ethiopia), through identification, development and implementation of Integrated Pest Management (IPM) based on naturally occurring beneficial microorganisms. The workshop was opened by the head of National Banana Research Program of NARO, Dr Jerome Kubiriba who said that more efforts needs to be put in ensuring improved banana production. Kubiriba said Uganda would be earning more $400m from banana production but the plant especially the desert banana [sweet banana, and bogoya] have been plagued by weevils and nematodes yet they are the one that fetch the most income at the international market. “The international market of desert bananas earns as much as $4bn but as Uganda we are not participating in that market because of low production due to diseases that affect those particular species,” Kubiriba said. 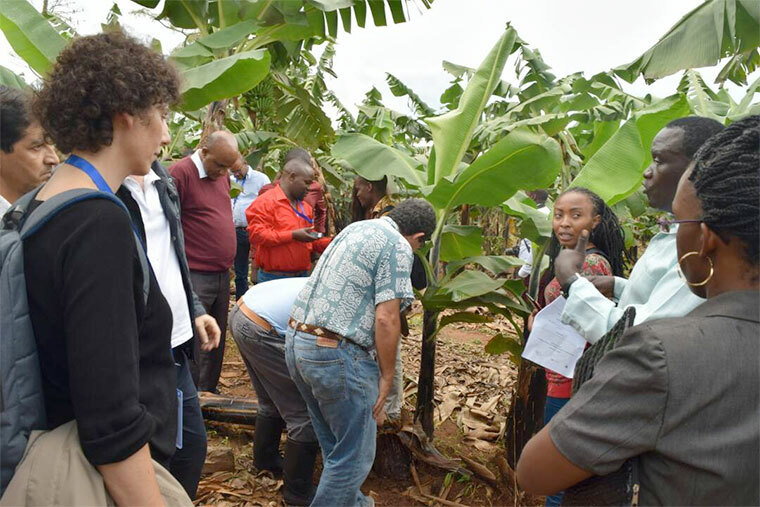 Researchers from Uganda, Kenya, Ethiopia, Nigeria, Tanzania, Costa Rica, Italy, Spain, United Kingdom, Belgium, and Cuba talked about their experiences, lessons and approaches to tackle the problem of banana diseases. The participants noted that pesticides no longer represent a sustainable option for control of pests, and many have been progressively withdrawn from use in the European Union or are highly restricted, due to harmful effects on the environment and toxic residues. In Sub-Saharan Africa, where phytosanitary policies and regulations are often less effective, such pesticides are still being misused, posing a significant threat to vulnerable farmers and consumers of bananas. They added that with the influence of changing climates in tropical and sub-tropical regions, the banana crops are becoming more exposed to pathogens and pests due to higher multiplication rates and prevalence induced by temperatures and rainfall patterns. If enough funds before had been invested in this food production research the country would be exporting powdered banana plantain by now. Such tropical food technology can be hoped to come by in 2030 when the pressure to produce ever more food increases to feed an expanding population all over the world. The Bagisu native Encroachers are demanding human rights on their native lands against their ancestoral wild life: One wants to understand. What came up first on these lands? Wild life or humans on this very old African continent? Fresh mudslides on the slopes of Mt Elgon due to encroachment on the national park. The row between Mt Elgon National Park encroachers and Uganda Wildlife Authority has taken a new twist with encroachers demanding for more land in the park. The encroachers now want 2,035 acres of land in the park for settlement and farming. The government had in 1993 allowed the encroachers to use part of the parkland for settlement and farming and even went ahead to draw a boundary. The Mt Elgon conservation area manager, Mr Fred Kizza, said the encroachers’ renewed demands pose a threat to the park. “We have insisted that they stay within the 1993 boundary until Parliament reviews the position,” Mr Kizza said. The encroachers led by Mr Stephen Walukano say they have lived in the park long before the coming of Europeans and that when UWA gazetted the area into a national park in 1993, they were already on their cradle land that includes the 2,035 acres of land in the park. “We want UWA to give us our land and if they can’t, we shall use all means available to reclaim it,” Mr Walukano said. Mr Kizza maintains that the massive encroachment means the ecosystem will suffer irreparable damage but Walukano insists they (encroachers) will conserve the environment. 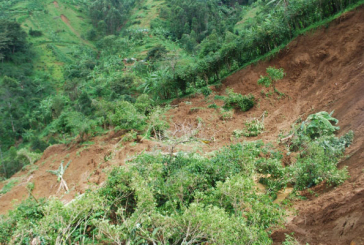 Reports from National Environment Management Authority indicate that minor landslides are already occurring on the Mt Elgon slopes because people have encroached on the forest cover. Tea farmers in Kigezi sub-region who supplied about 16 million seedlings worth Shs7.2 billion to government in March last year have threatened to stage a peaceful demonstration over non-payment. The regional chairman for nursery bed operators association, Mr Frank Byaruhanga, said on Monday that most of his colleagues have lost their properties given to commercial banks and money leaders as collateral when they borrowed money to invest in tea nursery beds. “People that have been working in nursery beds and tea gardens have not been paid for the almost one year because their employers have not been paid by government. Being aware that farmers wanted to stage a demonstration, we, as their leaders, approached the ministry of Finance and the Naads secretariat and they promised to pay after an audit of the planted tea seedlings is done,” said Mr Byaruhanga. Mr Byaruhanga said that besides the delayed payments, farmers are stuck with close to Shs500 million tea seedlings that were expected to be supplied and planted within the April season. He said tea seedlings should be planted at 12 months and leaving them in the nursery bed reduces their quality. Prime Minister Dr Ruhakana Rugunda on Monday said he had received the complaints of delayed payment from the tea nursery bed operators from Kigezi sub-region, saying government will pay all the money demanded before the end of this month. “There is no need for farmers to stage a demonstration because government is doing its best to ensure that they are paid before the end of this month,” said Dr Rugunda. For many years, the Kigezi region had never had any significant cash crop until 2008 when tea growing was introduced with funding from the government through its Naads programme. At the helm of this initiative was Kigezi Highland company led by Mr James Musinguzi Garuga. The farmers and community groups that embraced tea growing at that time, or shortly after, are now reaping the benefits of early adoption. For example, Mr Benon Byaruhanga, 64, a resident of Kichwamba cell Rugeyo in Kanungu District, was a tailor for many years prior to 2008 when he started a tea nursery bed of 160,000 seedlings. After a year, he was paid Shs40m because each seedling was bought by government at Shs250. He used the proceeds to establish a larger tea nursery bed with a capacity of 600,000 seedlings. From this, he earned Shs150m, which he invested in a tea nursery bed of more than three million seedlings. For these, the government paid him Shs780m.